Work-life Balance does not exist and aiming for it sets you up for feelings of anxiety and failure. There, I said what you have been thinking all along. I would like, instead, to propose a different paradigm: Work-life allocation. Allocation is not a fleeting instant that you struggle to hold onto or recapture. No, allocation is deliberate and done with forethought and planning. Allocation puts you firmly in control of how you choose to spend your time. You can go through a process and decide what your top priorities are, and how you will spend your valuable time. Your allocations will change over time depending on your priorities. And balance? Balance is transient. Balance takes place between here and there. Actual balance can be measured in seconds – sometimes minutes – but never over the longer term. 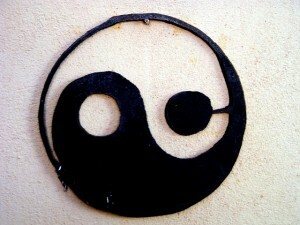 Balance also might imply that you should be giving equal weight to everything, which is often impossible. Consider this example: When you are launching a product, friends and even family may take a backseat temporarily – and that is OK. You made a conscious choice to allocate more time to certain priorities for a specific timeframe. You allocated your time appropriately, given what was going on in your business and your life. After your product is launched, taking care of yourself and recharging may become your top priority. At that point, some other aspects of your life may have to wait. How you choose to allocate your time is much different now. I like the concept of allocation because it is fluid and will change over time, will be different for everyone, and puts you firmly in control. I think all of us would like to feel that we have some control over our lives because much of what happens is out of our control, and we need to be OK with that too. So what do you think? Does this concept feel better to you? I would love you hear your thoughts in the comments below. Getting lots of comments on Facebook. What do you think? Does Work-Life Allocation feel better than Balance to you? Good thoughts here. This is a probably a better way to think about time management too. Thank you, Miguel. I am glad to hear this concept works for you. And you are right that it is a great technique for time management as well. The two definitely go hand in hand. Allocating self time is CRITICAL for everyone, but especially entrepreneurs. Thank you for your thoughts, Tommy! I appreciate your insights. Hi Catherine, I came here after seeing your post on USA Today (Plus the blog post title caught my eye). You made a lot of valid points in your post, namely setting realistic expectations. The results from this work-life balance survey: http://bit.ly/1awvKy8 show that most small business owners aren’t experiencing all of the perks of being their own boss. But with a few tweaks in approach and (as you mention) allocation, things can get better for the entrepreneurs and their families. Thank you, Jason. I think that being your own boss is a lot of work. Sometimes I daydream about how awesome it would be just to have to implement someone else’s plan. When you own your own business, especially as a solopreneur, you wear so many hats – and many of them aren’t that glamorous… But I agree that with some tweaks, there can be a lot of perks.